Announcing NEW ZO® MEDICAL “REVITATROL™ Epidermal Repair Crème”! - SCM Products Inc. Perfectly timed for the start of the busy fall treatment season, we are very pleased to announce the launch of our new ZO® MEDICAL “REVITATROL™ Epidermal Repair Crème”!. 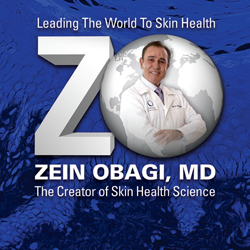 This exciting ZO® MEDICAL formulation accelerates the skin’s natural restoration process, while simultaneously protecting it from numerous damaging external assaults. This is an effective skin “protectant” that temporarily prevents both dryness and cracking. Improved comfort is provided to irritated and itching areas, while stimulating natural skin recovery. Skin re-epithelialization is enhanced with application of this crème, as is the repair to damaged DNA. May be applied to the skin immediately following ablative procedures –excellent for use post micro-laser, micro-needling and resurfacing treatments. This exciting product is now in inventory at our SCM warehouse, awaiting your order. https://www.scmproductsinc.com/wp-content/uploads/2017/09/ZO-Revitatrol-FeaturedIMage.jpg 380 900 globalprinting https://www.scmproductsinc.com/wp-content/uploads/2013/04/SCM-logo-header.png globalprinting2017-09-20 18:32:142017-09-20 18:32:14Announcing NEW ZO® MEDICAL “REVITATROL™ Epidermal Repair Crème”! Introducing NEW ZO® Skin Health “OSSENTIAL® Instant Pore Refiner”! Introducing the NEW Marena® “B19 Recovery Bra”!